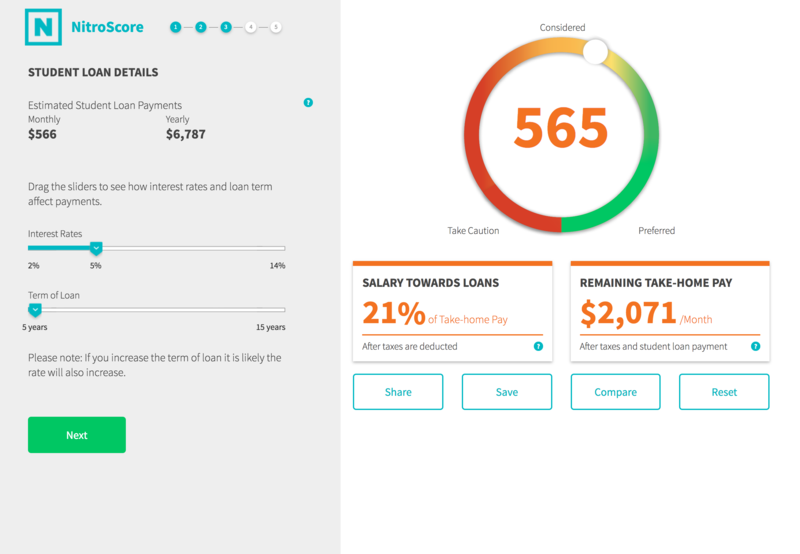 NitroScore is the first student loan affordability calculator. 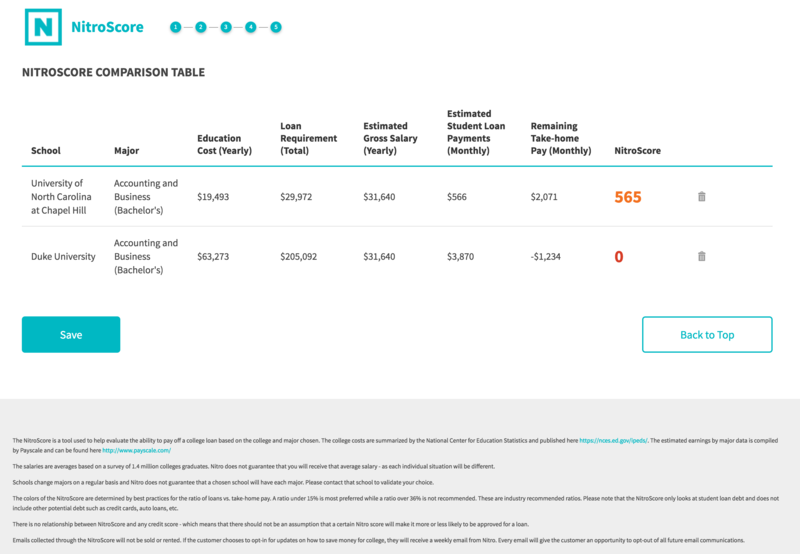 This powerful, new online tool determines the affordability of student loans, allowing students and their families to make informed decisions about paying for college. 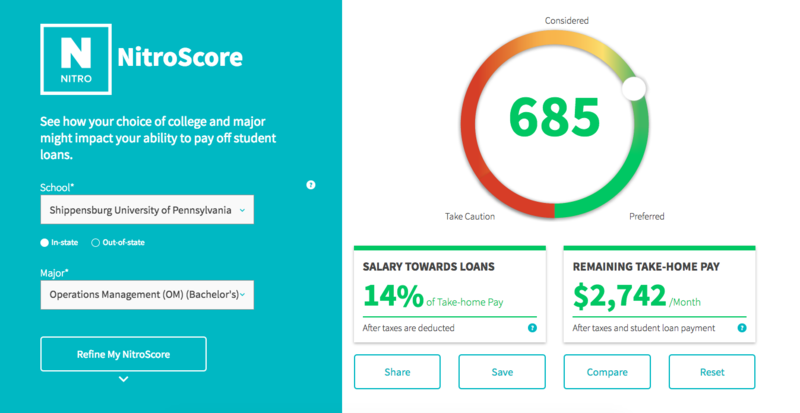 Fueled by advanced analytics and proprietary data sources, customized by responses from each student, NitroScore creates a personalized ranking of college and major choices - based on the predicted ability to repay student loans after graduation. A college education should be an open door to success, yet many students find themselves coming out of college unnecessarily saddled with too much debt. The average college graduate owes $37,172 in debt. NitroScore is designed to answer the question, “How much can I afford to borrow and not be unreasonable burdened by student debt?” Students often don’t understand how their choice of college and major can affect whether or not they will be able to pay their student loans after graduation. NitroScore helps clarify the impact to make the best financial decision. 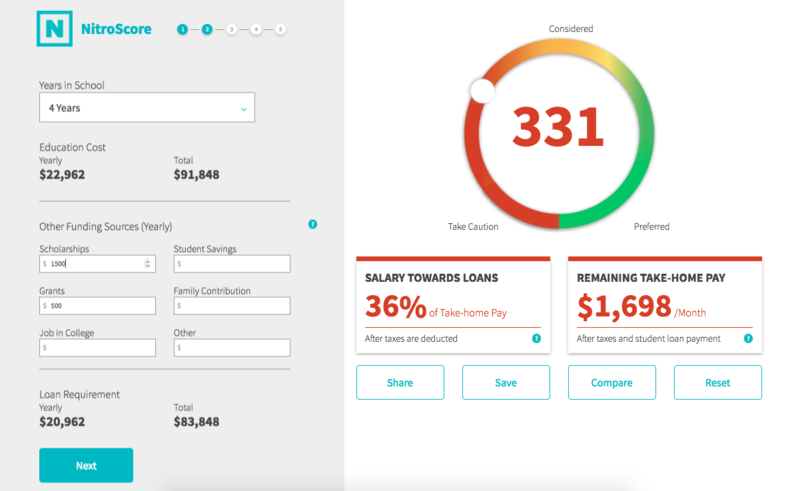 NitroScore is our latest breakthrough tool, designed to create better borrowers by providing families and prospective college students with deep insights into affordability of their college loans, by college and major. Which School Will Be Crowned "Champion for Best Value" in the NCAA Men's Basketball Tournament?